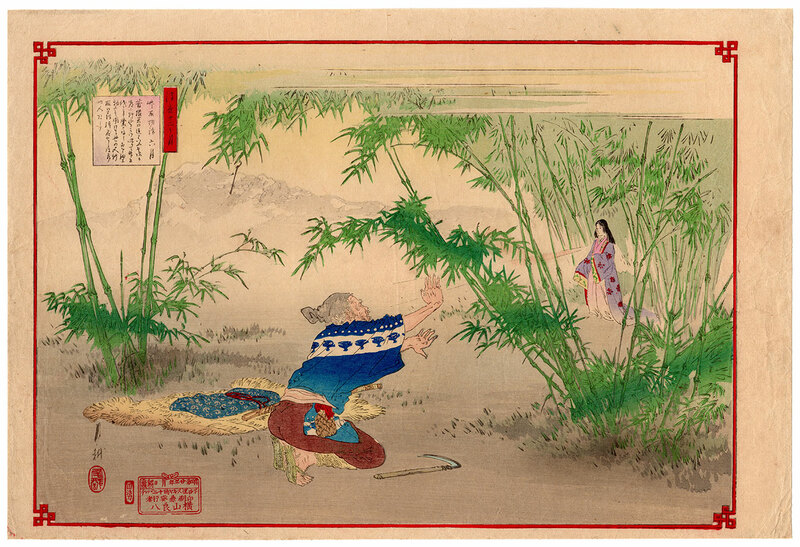 The prologue of the famous Taketori monogatari (竹取物語), the ancient Japanese tale that tells the story of the "shining princess of the supple bamboo" Nayotake no Kaguya-hime (なよ竹のかぐや姫), is the subject of this refined woodblock print by the artist Ogata Gekko (尾形月耕). 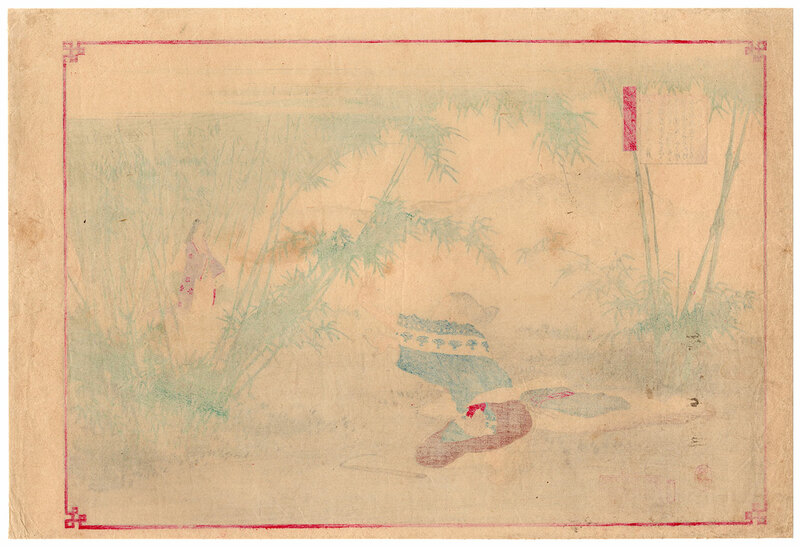 The work, printed in 1890 by the publisher Yokoyama Ryohachi (横山良八), is taken from the series "Twelve Months of the Floating World" (浮世十二ヶ月). 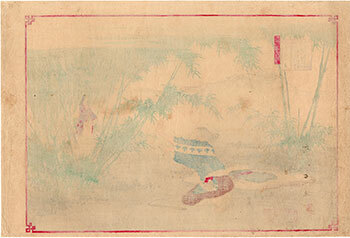 The print on Japanese washi paper (和紙), despite the right patina of time, is in very good general condition.